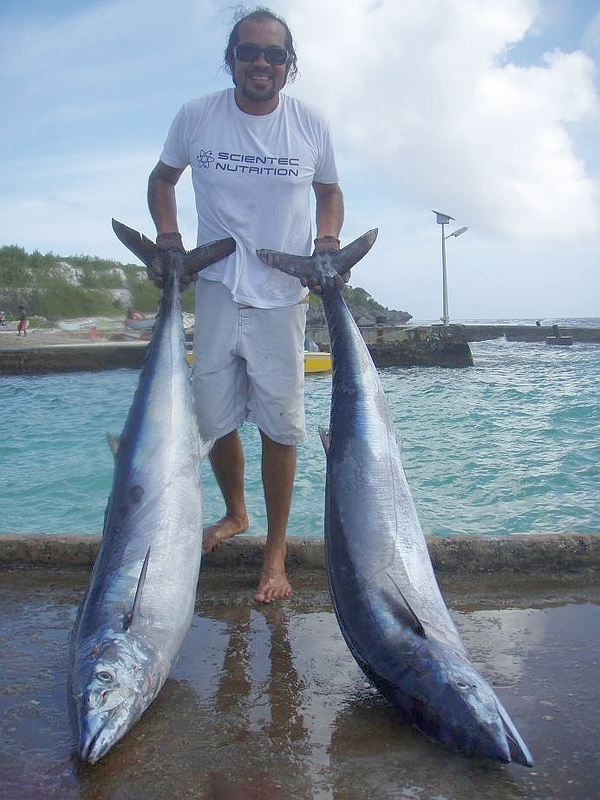 110 Lbs WAHOO and few ``smaller`` ones . 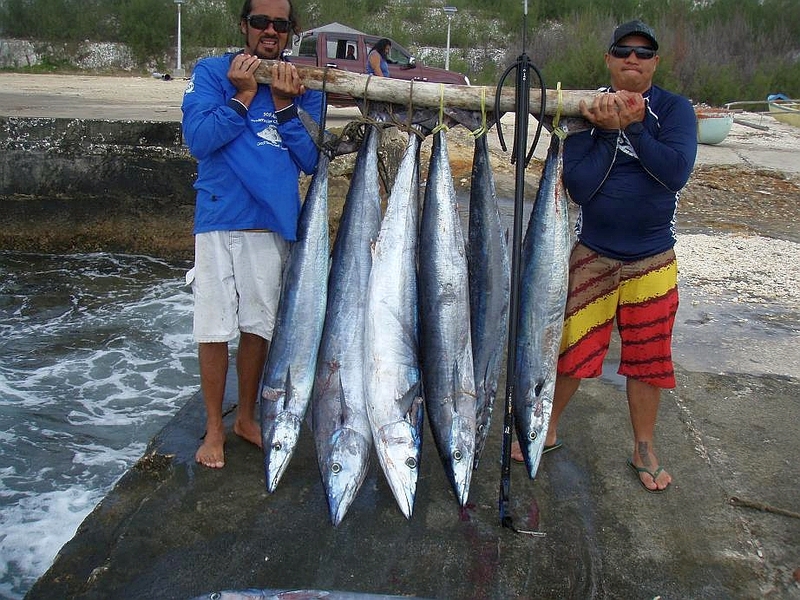 For the ones who did read the post ``Wahoo gathering here are some pics . they had a limitation of 3 fish each . And ~G~ best one was 110 Lbs . unfortunately they did not get some ice to save the fish in the cooler and certainly the wahoos did lost some weight at arrival at the dock! 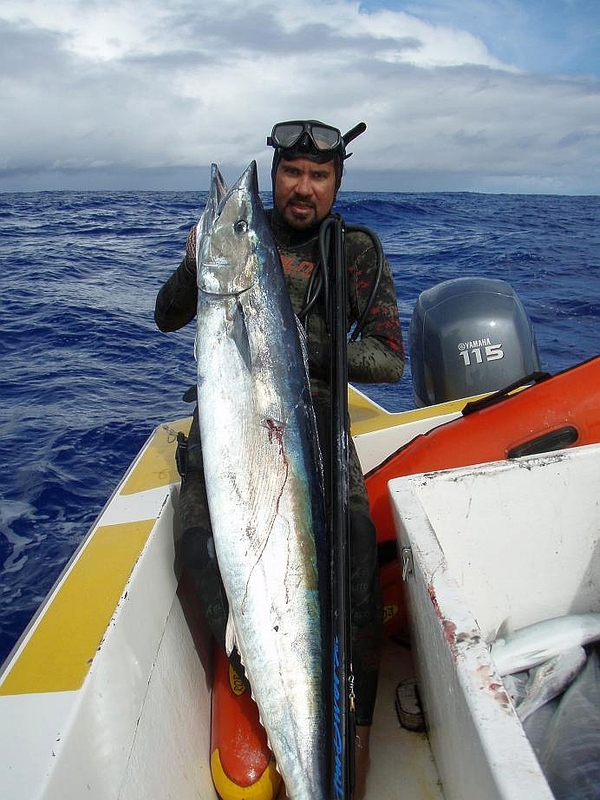 Re: 110 Lbs WAHOO and few ``smaller`` ones . 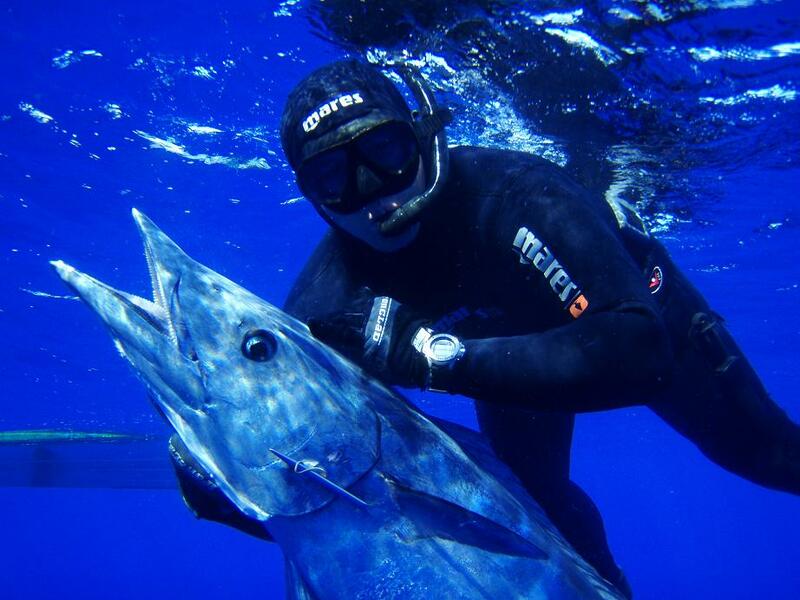 Awesome catch! 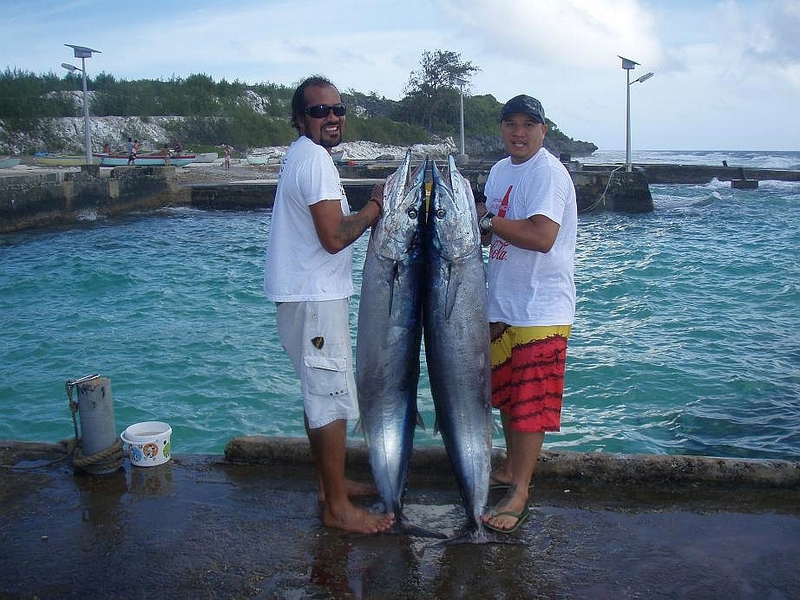 Looks like I might have to cancel my Fiji trip and come to Fakarava! 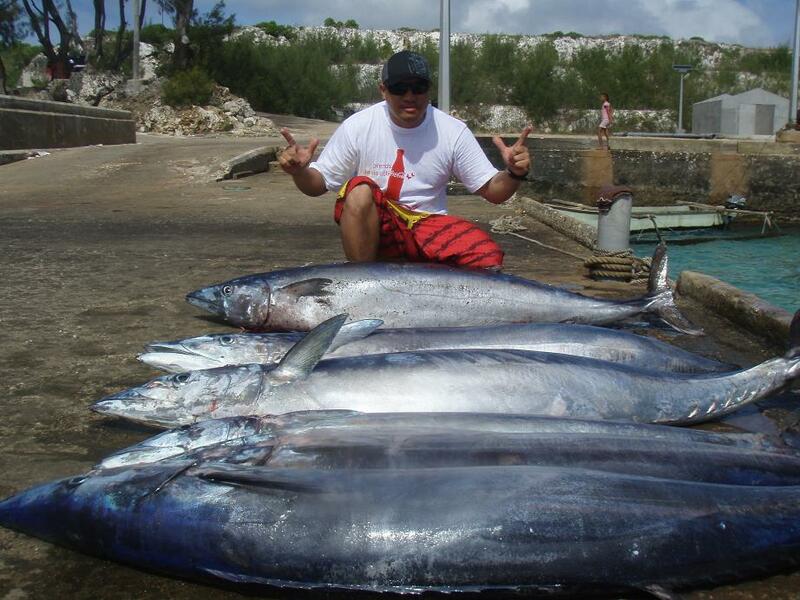 Unfortunately , those catches were not speared around Fakarava but in another location in French Polynesia . This location is a very remote place where the costs involved to reach the spot are high .Already to reach Fakarava the costs involved are pretty high from foreign country !and those are nothing compare to Fiji ! unfortunately! i would prefer French Polynesia to be more affordable . Also the spot where those Wahoos were land is in an area where the ocean is very Ruff most of the year . ~G~ and Jimmy were able to spear 3 half days on a 10 days trip because the swell went up to 18 feet + with a 40 knots wind on top from the swell, and attempting to reach the spot located few hours Offshore in a local 19 feet out-board looks like to be a ``dangerous`` mission ..but it worth it for the ones who really want to get a chance to land a Wahoo World Record . 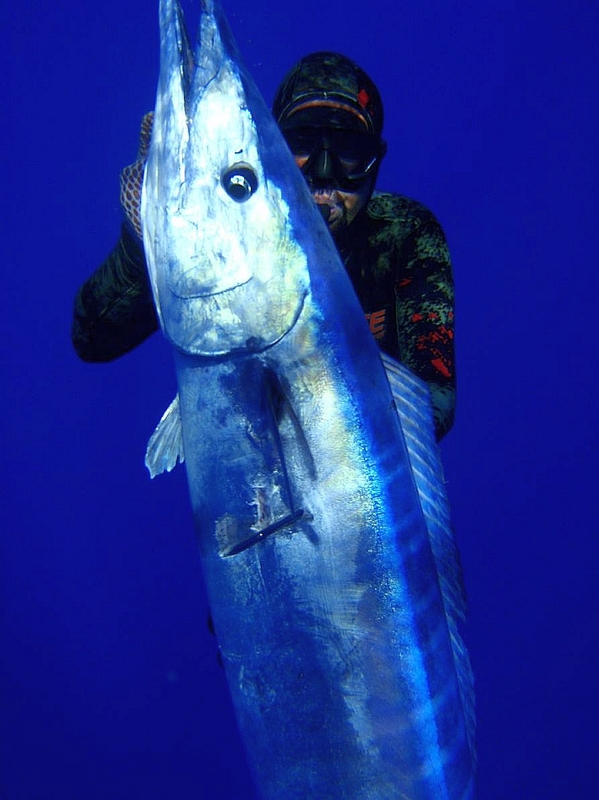 In those spots we knows off , the very few fishermen that can troll time to time there report some Wahoos catch up to 198 Lbs with an average of 90 Lbs . 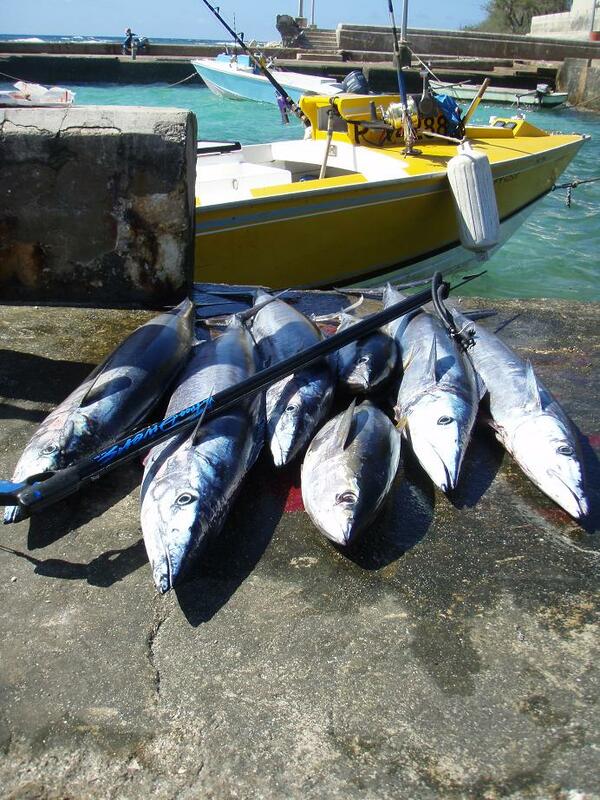 This Wahoos gathering happens 2 month per year ..always when the weather is the worst as it possibly be!! Knowing those factors , i even did not take a chance to go there myself ! !but ~G~ my partner is an all seasons all conditions spearo !! Last edited by z1taz; 08-01-2010 at 08:27 PM. NICE!!! Might have to join you when you go Ron! 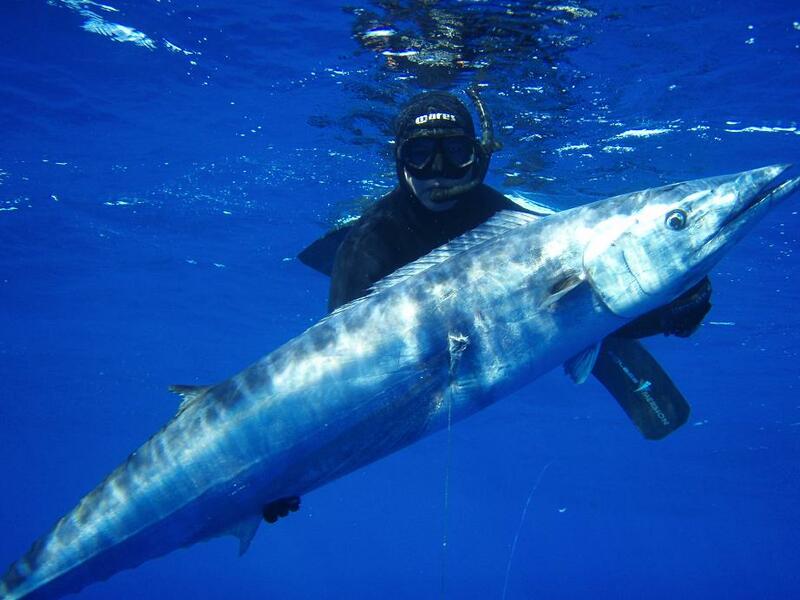 hey marco any sharks with these wahoo gatherings? Last edited by z1taz; 08-01-2010 at 06:17 PM.